We had an amazing time in London and Paris and I can’t wait to share all of the pictures and details with you guys. At first I was just going to do a few recap posts, but I decided to write full-detailed posts once a week instead. While I was planning our trip I found other blogs’ travel posts to be really helpful, so hopefully my itinerary details and tips can help someone else with their planning. Plus it’ll be fun to look back at all of the details of our trip in a couple of years! So, welcome to the first edition of Travel Tuesday! 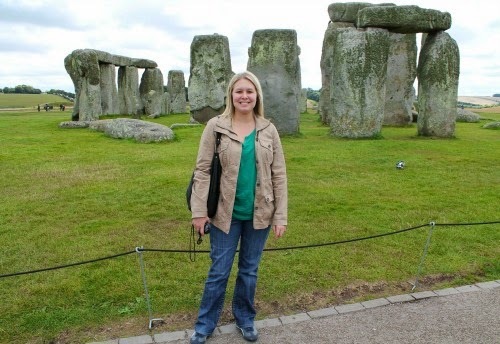 We started our vacation with a group tour to Stonehenge and Bath. We took the Bath, Stonehenge, and Secret Places tour with The English Bus and couldn’t have been happier with our experience. They definitely lived up to their excellent Tripadvisor ratings. Our guide Andrew was friendly, funny and very knowledgeable. Our first stop was Stonehenge and it was incredible. 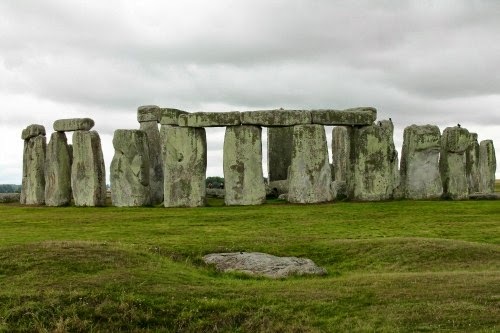 The oldest section is estimated to be about 5000 years old. To put that in perspective, that’s 3000 years before Jesus was born - it’s hard to even comprehend that amount of time. We listened to the audio guide and walked around the stones in awe of the mystery behind the site. After seeing the size of the stones in person, I have no idea how they were able to move and arrange the rocks. My mom is convinced it was done by aliens. 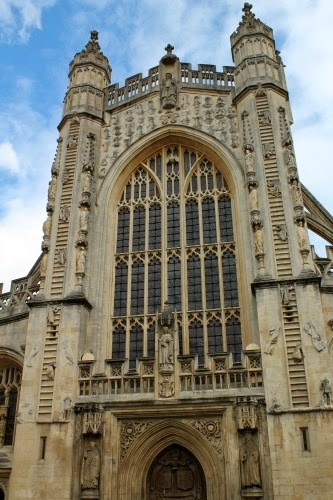 After Stonehenge we headed to the beautiful city of Bath. We had free time for lunch before our walking tour, so we stopped at Pasty Presto (recommended by Andrew) and ordered a traditional pasty. It was kind of like a portable beef stew pot pie and it was very good. After lunch we all met up for a short walking tour around the city. 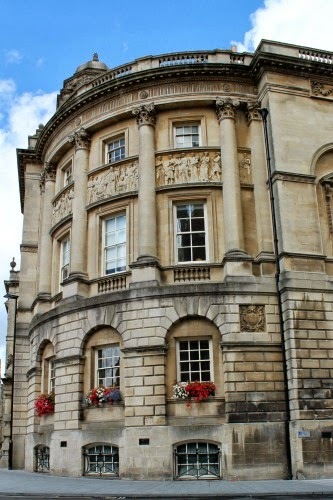 Bath is full of beautiful buildings, most of which have planters full of bright flowers. I’ve never seen such healthy, beautiful flower arrangements…probably because I live in the desert! 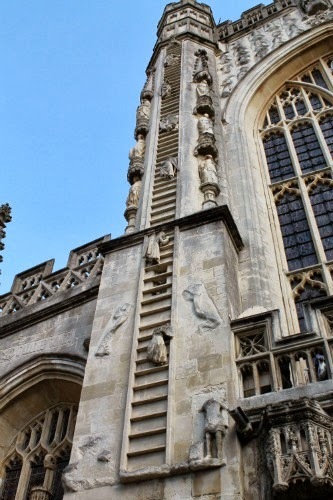 The second picture is Bath Abbey. Did you notice the angels climbing up and down the ladders on both sides of the building? After a little more free time in Bath, we headed back to London. On our way back to the city we stopped at the “secret places.” So far the internet hasn’t ruined the “secret places” secret, so I’m not going to tell you what they were. But I will say that they were very cool and worth the stop. 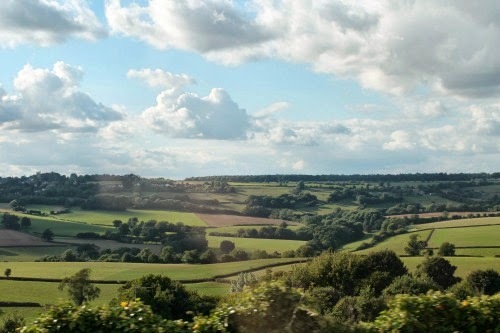 The trip was also a great chance to get outside of the city and see some of the English countryside. I loved the houses with thatched roofs. Seriously, how cute is this place?! And how amazing is this place? I want to live here! We got back into London around 8:30 p.m. and Andrew was nice enough to drop everyone off near their hotel or by a tube station that was a direct line to their stop. We were the second to last to be dropped off, so we ended up getting a nice night tour of the city. We had a great time on the tour and loved all of the locations. It was a great start to our trip and I would highly recommend The English Bus. They offer a couple of other tours, so check them out if you are going to London. Next week: Windsor Castle and Kensington Palace! The amount of envy I feel can not be expressed in mere words. I am so stoked that you go got to go visit! It looks and sounds amazing! 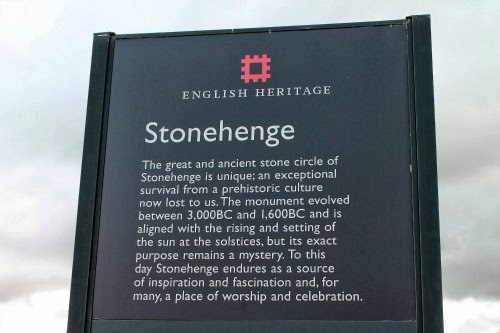 I'd love to see Stonehenge. I feel like for my honeymoon I should go to the land of my peoples. (read: Ireland) If you are into historical fiction at all I highly recommend reading the Outlander series by Diana Gabaldon. They are gooooooddddd and they are all about the England/Ireland/Scotland area. I bet it was amazing! WOW! Thanks for the update... I love to travel and this will be added to the list! Also...I have read the some of the Outlander series.... and they are an excellent read!! Can't wait to see what you blog next! So glad you had a good time in the UK - definitely drop me a line if you come back to London again! I love your post. I've been to both places but without a guide. We missed out by not reading enough about Bath. My husband did recognize the street where Persuasion by Jane Austin was filmed. I look forward to the rest of your trip. I have been posting about our recent trip to Italy but tonight I took a break from our trip and posted about of all things cotton fields!! 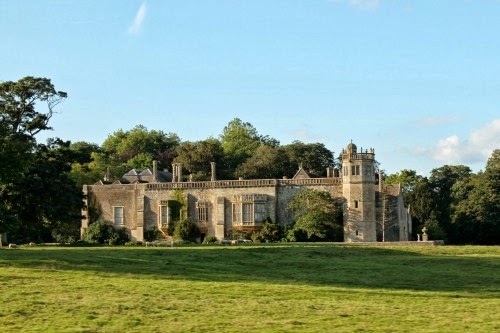 Oh my I would love to visit England. It's on my bucket list! Your pictures are great. 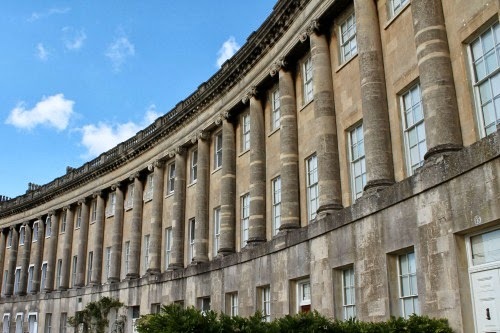 I didn't know anything about Bath until you talked about it. It was interesting to me to see the Pasty Pestro! 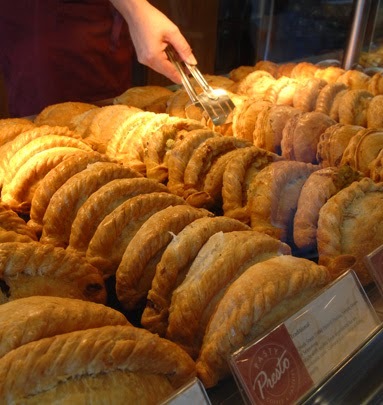 In the Upper Peninsula of Michigan they are known for the "pasties" which are a hand held meat, potato and rutabaga pie. The miner's wive's made them for their meals. It was an easier way to eat for them while in the mines. 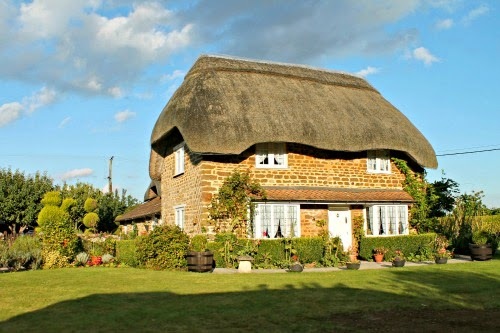 That thatched roof house is the best!